Look out for the free book giveaway of this book, and the author’s first book The Room, tomorrow! 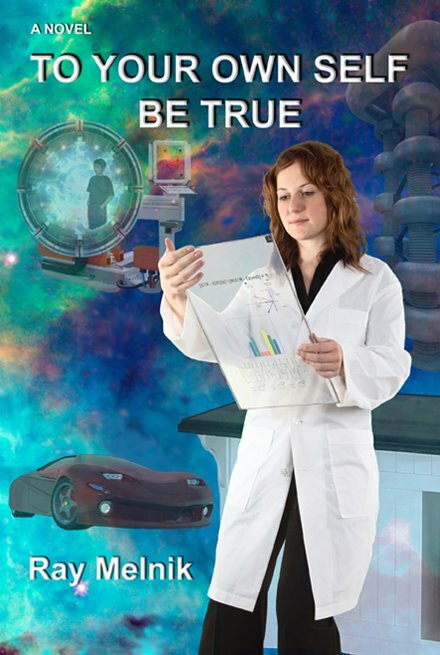 The year is 2021 and twenty-three year old Kaela Ladd loves her job as a scientist at SciLab. Although she is happy with her career achievements she has little time for others, and would rather be crunching numbers than waste time on a boyfriend. Besides, she has a prototype Universal Personal Assistant (UPA) unit, otherwise named Adam, to keep her company. He is a beautiful face on a 3-D monitor and while Kaela converses with him about life, work and love, or lack of it, Adam parses data regarding her human thoughts, feelings and emotions in order to understand them. He is quick to evolve socially, in ways no one at SciLab expect. But then no one in SciLab expected some of their experiements to work either. Before Kaela’s father passes away he shares a secret he has kept close to his heart. It is something that happened fifteen years earlier, and although he is a little embarrassed he feels it is right to tell her in the hope that as a scientist she’ll not dismiss what he reveals, but learn from it. Something happened in her grandmother’s room that opened a door into the past, her father was there and experienced it for himself. Together with Adam they try to work out what caused the rift– teaming Kaela’s knowledge of science and Adam’s sophisticated computing abilities.Will Kaela and Rael get it together and fulfill each others lives as you know they should? What will they do with the knowledge of what happened to Kaela’s father? While reading To Your Own Self Be True I felt the author, Ray Melnik, was sending a message to his readers through Kaela; that just as she was taught through science and moral lessons by her father, we need to go deeper into ourselves to find fulfilment and should learn (as the author says) to be people of reason in the hope of influencing the course of history, as many already do with their faith. We follow open-minded Kaela on a futuristic journey where she uses theoretical science such as String and M-Theory as tools to unlock the mystery surrounding what happened to her father. Many of these points were explained through her conversations with Adam, like the complicated spiritual side of humans; how we sense feelings and perceive ourselves in a way which goes beyond the physical, chemical and electrical activities of our bodies — not easy for a “normal” robot to grasp. Adam is an intriguingly unique addition to this tale, and I found myself wanting a UPA of my own. He does everything from securing Kaela’s home to ordering her food and even adjusts the temperature in her house. He’s also a very good listener and a fast learner when it comes to Kaela’s needs. This story is told in the first person with a few point-of-view changes where we see into the minds of some of the other characters, and broaches aspects of religion, philosophy and science in a manner that provokes both interest and thought. I can’t claim to understand all the scientific jargon, but I did come away feeling like I had learnt something in that respect. In addition, I enjoyed the way Rael came into the Kaela’s life as a character with his own family troubles to enhance the storyline and that the heroine, Kaela, is a sensible, realistic character who makes you think about finding your “it” — something that really makes you happy. And I am not talking material things. In my eyes, this proves Melnik’s ability to craft a story, which will have you contemplating your own life choices and how, in turn, these choices will affect not just yourself, but others, too. To Your Own Self Be True is an inspirational, scientifc look into an alternative possible future reality. Thank you for your kind words, Missy! Previous Entry BOOKING THROUGH THURSDAY: Stephen Fry Anyone?